For the last few years, the area called Hochelaga (south east part of Montreal) is being revamped into a cool place where foodies and cool people unite. Always up to discover new things, we went to 5 restaurant/bar on a quest to find a few gems in the area with the Eco-friendly and cool concept called Vélo Pousse! Think of it as an old school cab, its brilliant! Sushi lovers will be pleased to know that there is a spot in the est end that really creates stellar sushi. The combinations are creative (although you can`t go wrong with classics), the food is fresh and the taste leaves you wanting more. We all need a local restaurant that offers great food. Chez Bouffe is a cozy place that offers a 'home away from home' experience. The menu changes daily according to what is available at the moment so you are always pleasantly surprised. Especially with the colder seasons that are coming along, you'll want to latch on to the places that are cozy. This place is on top of my list for brunch! Who cooks duck for breakfast, well they do! There are no words to explain, its that good. LES AFFAMÉS also offers a diner menu, less decadent than the morning edition, but it is still a great addition to their restaurant. Without sounding too cliché, when you are headed to an Irish pub, you go there to drink! 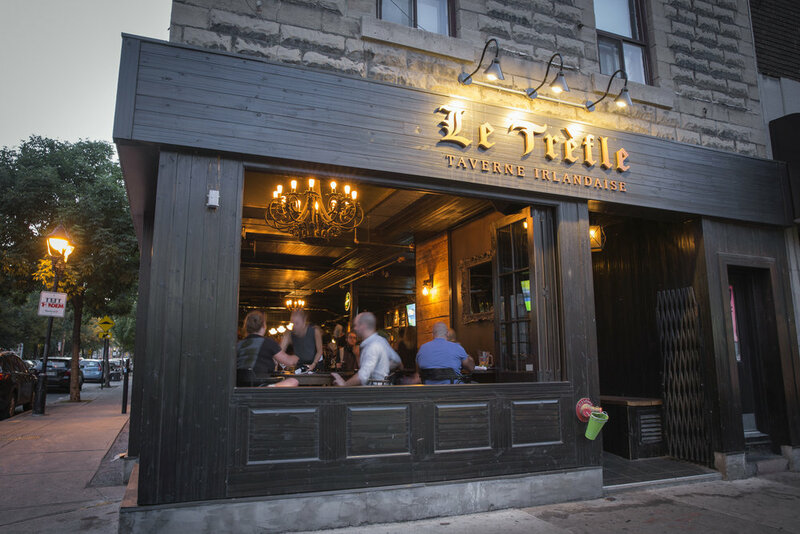 LE TRÈFLE offers more than a hundred different variety of beers from around the world. Get there with friends, order some hearty food and catch a live game or fight on the big screen. Doesn't get any better then this. We discovered another great place at the end of our night. This little market located in the gorgeous Place Valois area, is known for their handmade sausages and people line up for their ice cream. There are so many flavors to choose from but the star of the night was a lemon pie and vanilla ice cream blizzard. Everyone from the group devoured it! Before the end of the season, head on to this market and treat yourself!